The topic of this blog is valuable mechanisms… I will be writing about and promoting design which generates value for human life. I think this is the moral justification for design and my reasoning for this conclusion is shown in a paper which I wrote for a graduate level design class (the paper is posted here). 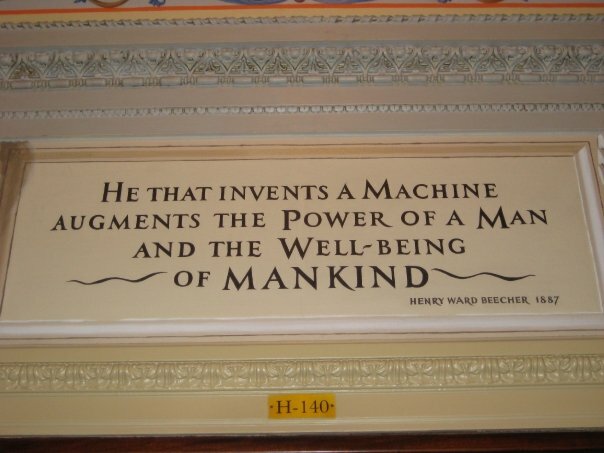 Found in a hallway in the U.S Congress building in Washington D.C. However, my interest in the topic of design ethics did not stop with the writing of that essay, and blog posts on the subject can be viewed below.